Nowadays, computer simulations are essential in science. Whether it is meteorology, medicine, engineering or materials science, all of these disciplines use computer models in their experiments. However, the more complex the simulations become, the more computing power is required. A standard PC is no longer enough. For a number of years, computer scientists at FAU have been working on simulation software which enables CPU-intensive model calculations to be carried out effectively and as accurately as possible. They have now released a new version of this software which will be used in the USA for a new program that predicts hurricanes. The software combines two important features: it is both fast and portable, so it can be used on any computer without needing any complex adjustments. Weather forecasters in the USA have just six hours to predict the path of a hurricane. This is the time between taking images of the weather patterns and issuing any warnings. Three scenarios have to be calculated during this time: the hurricane could run straight, turn to the left or turn to the right. A program needs two and a half hours for each calculation. This means that a total of seven and a half hours is required – one and a half hours longer than is allowed. To run the calculations on different computers at the same time would require millions of euros to cover the initial costs and result in running costs of several hundred thousand euros per year. In light of this, the complexity of the simulations has been reduced. 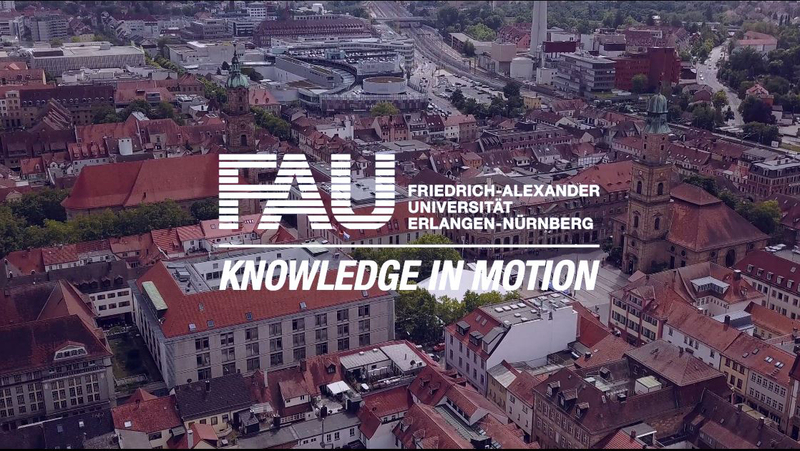 ‘The simulation of waves in the ocean has been turned off, for example,’ explains Andreas Schäfer from the Chair of Computer Science 3 (Hardware Architectures) at FAU. This speeds up the calculations but reduces their accuracy. The software developed at FAU, LibGeoDecomp (short for Library for Geometric Decompositions Codes), will be used in a new research project called STORM in order for the hurricane prediction program ADCIRC to make quicker and more accurate calculations. The Erlangen-based researchers are working on STORM – which is funded by the US National Science Foundation – with colleagues in the USA. It is the fourth version of LibGeoDecomp which the FAU researchers have released as open source software, making it available for free for everyone. It is the first simulation software that combines two of the most important features of any software. Firstly, LibGeoDecomp is more efficient than its predecessor. ‘Our software achieves several petaflops of performance. This means that several quadrillions of calculations are carried out in just one second,’ explains Schäfer. The researchers still have to wait and see how this will affect hurricane predictions. ‘The STORM project has only just started. We are only just beginning to test combining LibGeoDecomp and ADCIRC,’ says Schäfer. The combination of these two properties – efficiency and portability – is currently unique. ‘Before now, software was only one thing. It was either fast or portable, but not both at the same time. Due to the combination of these two properties, LibGeoDecomp is currently one of the most powerful types of software on the market. It will contribute to great advancements in simulation technology.’ This is because calculating the path of a hurricane is just one of its possible applications. ‘So far we have used LibGeoDecomp to simulate crystal growth in melts and particle motion in space or for flow simulations, for example,’ Schäfer adds.